Live Smart. Live Secure. Live Safe. Smart Living Technology proudly sells and installs a variety of smart security products for your home or business. Smart Living Technology is a trusted vendor for a plethora of home and business security products. From alarm panels to cameras, Smart Living Technology is your one-stop-shop for all your home and business security needs. Whether your purchasing equipment for your home or office, you can count on Smart Living Technology to guide you every step of the way. Need to consult with one of our security professionals? Not a problem, we’re here to help! Just tell us where you want your equipment, and we’ll handle it from there. It’s just that easy. Trust the professionals at Smart Living Technology to get the job done! If you are not satisfied with your service, cancel anytime! Get started quickly without worrying about activation fees! Have peace of mind knowing that your equipment, month after month, is always keeping you and your property safe! We at Smart Living Technology only work with the best products from the best vendors to provide you the latest in smart security technology. Protect your home or business with state-of-the-art wireless alarm system technology, geared to ensure your safety. Manage your security from anywhere in the world and receive live up-to-the-minute updates on your home activity. Shop now and see how you can start protecting your property and smarter way. 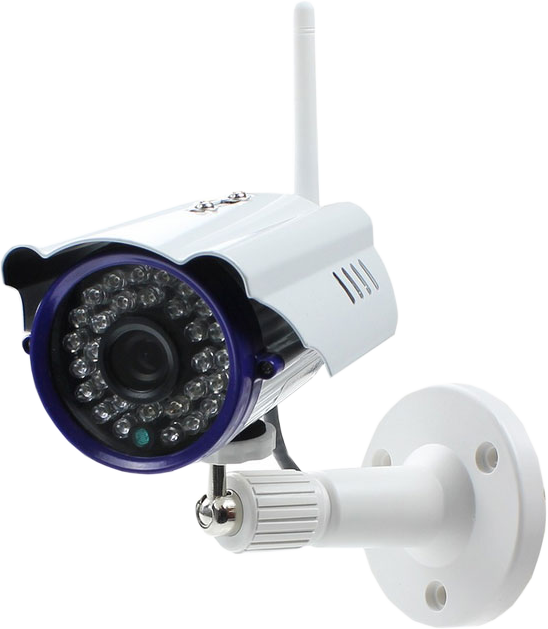 Have peace of mind knowing that your property is monitored 24/7/365 with our wireless cameras built to last. Find out how you can protect your property smarter, today! Feel free to contact us anytime for any questions regarding products or orders!